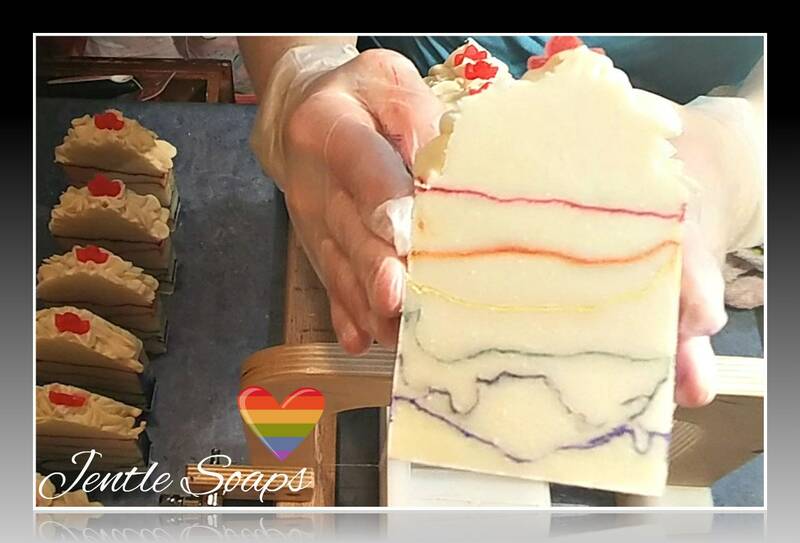 This soap has all the colours of the rainbow and is scented with a lovely powdery almond fragrance with light floral notes. 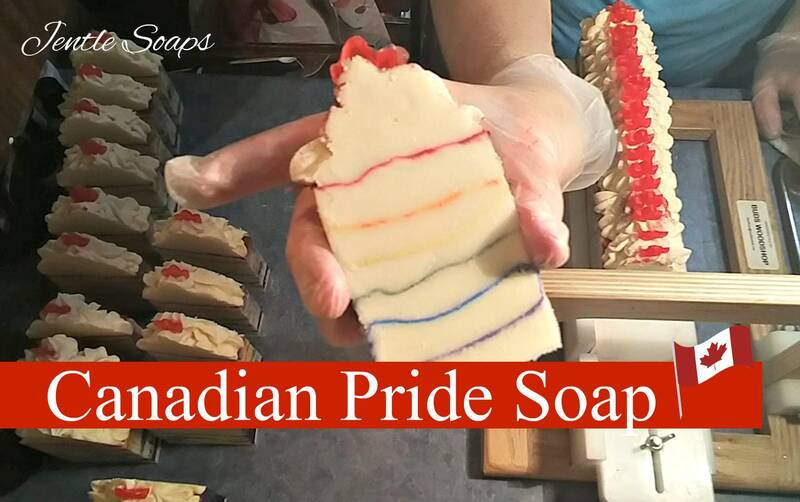 This patriotic soap has deep meaning to me personally and I am so happy to be able to present it to you in my store this year. The lines are imperfect as each of us are yet beautiful to behold just like a rainbow. Happy Canada Day Eh! 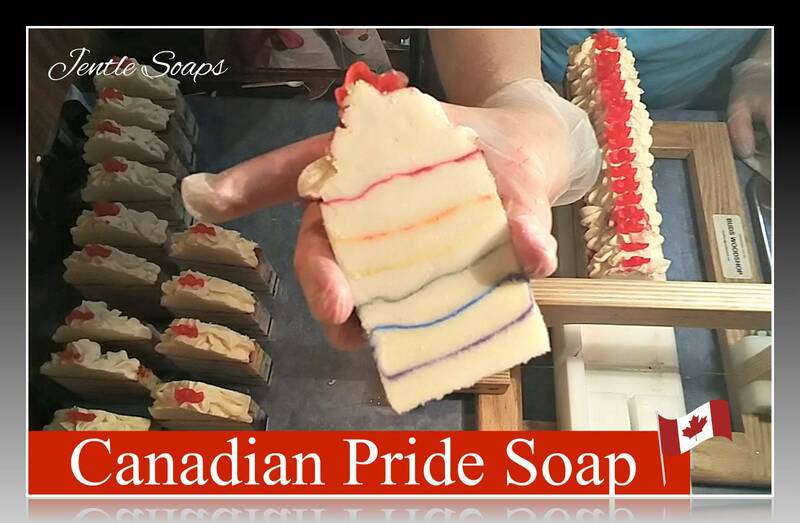 Here in British Columbia, July is the beginning of Pride festivities. 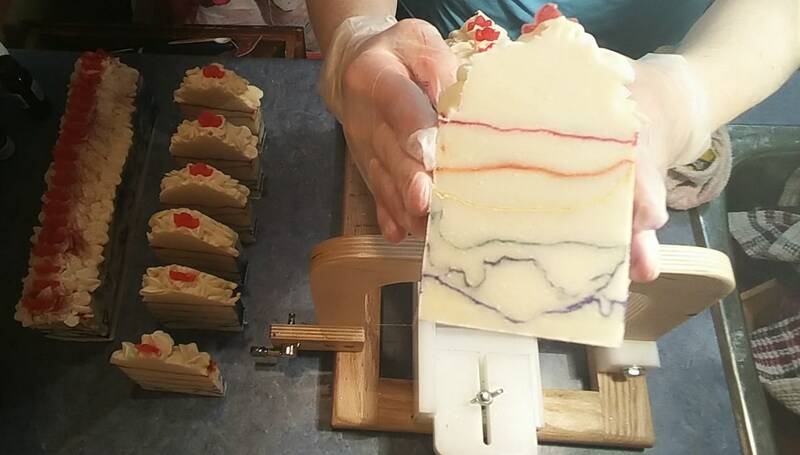 Thus the design of my soap. To me rainbows represent love and acceptance in all it's different forms. It is beautiful and it's symbol has deep meaning to many different cultures from all walks of life and all of those meanings are positive. One thing that makes me very happy about Canadian foreign policy is that both Liberals and Conservatives have had strong policies to defend #LBGTQ2 rights .